Did you know that August is “Read A Romance Month”? Neither did we! But it is, so we are more than happy to celebrate anything and everything book related. 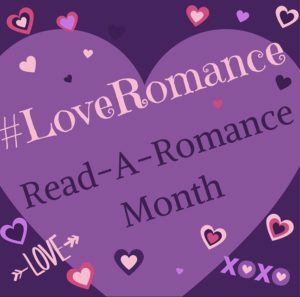 “Read A Romance Month” was conceived and launched in 2013 by freelance writer and romance advocate Bobbi Dumas, after she realized there was no one place where the community celebrated romance all together, at one time, in a concentrated way. So why not enjoy these sweltering, sizzling summer days with a few good, steamy romance? Check out the display in the Main Library for some titles, and be sure to check out our genre experts monthly selections below! This is one of those rare books that are almost betrayed by their descriptions, because, while the plot of this book is interesting, the real joy comes from the interactions between the protagonists between the action. Their chemistry is tangible, and I adored the way their connection helped them evolve and redeem themselves, and each other. Lady Emma Cavensham is on a mission, determined to prove that her beloved friend’s death came at the hands of her ruthless husband. Naturally, because this is a romance, her quest is foiled by a compromising moment with a long-time acquaintance…who may just be the perfect partner for all her live’s adventures. Nicholas St. Mauer learned the hard way not to put faith in any relationship. Having been raised by a genuinely unloving and unlovable father, Nick doesn’t know how to be lovable, or how to properly show love to others, even though Emma once tried. Now that their names and reputations have been linked inextricably together, Nick realizes that he has no choice but to make Emma his bride. But can he ever make her happy? And how on earth can he keep her safe in the bargain? As I mentioned, McGregor is a master of the little details, and this book is proof. Emma’s relationship with Nick grows through small shared moments of laughter and honest that make the bond between them something unique and wonderfully powerful. I loved how she and Nick found healing and acceptance together, and gave each other hope that their future together would be better than their pasts alone. I was also generally impressed with the way Emma’s quest turned out. This isn’t a simple comparison where the hero and villain are identical foils to each other, and the result is a thought-provoking plot line that adds, rather than distracts from the romance between Emma and Nick. While this is the second book in the Cavensham Heiress series, new readers won’t have any trouble jumping into this series from here. When I’m looking for a romance that I know without question will be a good one, Eloisa James is one of my go-to authors. Her story lines are unique, her characters both main and secondary are people worth getting to know, and she always manages to slip in some Shakespeare references for good measure. Born to be Wilde is the third in James’ “The WIldes of Lindow Castle” series, and it’s every bit as good as the first two books. The eccentric Wilde family is as much a force of nature as the bog that abuts their castle. Alaric is a world adventurer and writer who inspired the prints that made the family into reluctant celebrities; North is a former dandy turned rakish war veteran; and Parth Sterling, the hero of this book, is the honorary Wilde, the brother adopted when his parents died in India and the one who is now the most successful and wealthy bachelor in England. The brothers are lovingly guided by their stubborn and big-hearted Aunt Knowe who helped their father raise them after their mother died, and Lindow Castle is also full of energetic younger Wildes from the dukes second marriage. As a cousin to North’s fiance, Diana, and close friend of Alaric’s wife, WIlla, Lavinia Gray finds herself a part of the boisterous Wilde clan frequently. Lavinia is smart, fashionable, and gets along well with everyone. With the exception of Parth. When Parth and Lavinia come together, every conversation turns to needling and ends in an argument, but when Lavinia finds that her mother has entirely lost her dowry and their fortune, she is forced to propose marriage to the man she has called “Appalling Parth” for years. More mortifying still, he says no. Protective by nature and a top-notch problem solver, although Parth refuses to marry Lavinia, he does agree to help her find a husband. But once he does, can he live with the idea of Lavinia marrying another man? It could just turn out that the sparks that fly between them might be something more. Lavinia’s character is one of the greatest strengths of this book. Watching her come to respect and love the things that she once condemned about herself, and then to settle for no less than a man who will do the same, will have readers cheering for her. Eloisa James has done it again. Happy reading, romance lovers! Until next month, beloved patrons–we hope you find plenty of romances to enjoy for “Read a Romance Month”! Previous PostTeen Room Takeover! Where to go for Summer Fun!Next PostFive Book Friday!